Successfully Added Car Bluetooth + MP3 FM Transmitter - SD Card Reader + USB Port to your Shopping Cart. New car accessory that acts not only as a MP3 FM transmitter, but can also be paired with a Bluetooth enabled phone for handsfree calls and music playing. 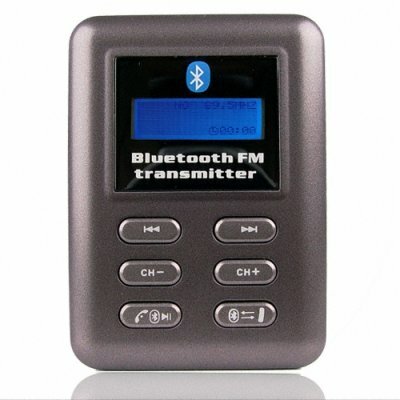 With a SD card reader, a USB port, and a aux 3.5mm jack for direct playing of audio such as MP3s, iPods or CD walkman's, you will be getting hours of musical entertainment direct off your own cars powerful stereo output, and at the same time staying safe while driving due hands free Bluetooth connection with your phone. A cool car accessory perfect for travelers and music enthusiasts who like a little more from their car gadgets..